The Start of the new season has flourished and we hope this year will provide you with the best results through your hard word and determination. The previous year ended with the Specialist Officer Exam and since this Clerk notification came in the previous year , this exam pertains to the year 2017, even though the mains exam happen in a different year. As you all know the difficulty level of the exams that happened in the recent days are in a different level and one needs to constantly prepare to ace the exam and to achieve their dreams. The level of difficulty increases for each exam and there is no turning back for the easier level questions (some of the exams in the lower level cadre had easier questions because, the level of the exam is exactly like that). So to crack the exam and to be the best , you have to study for the exams in an exemplary way and lot of dedication has to be put to achieve this. 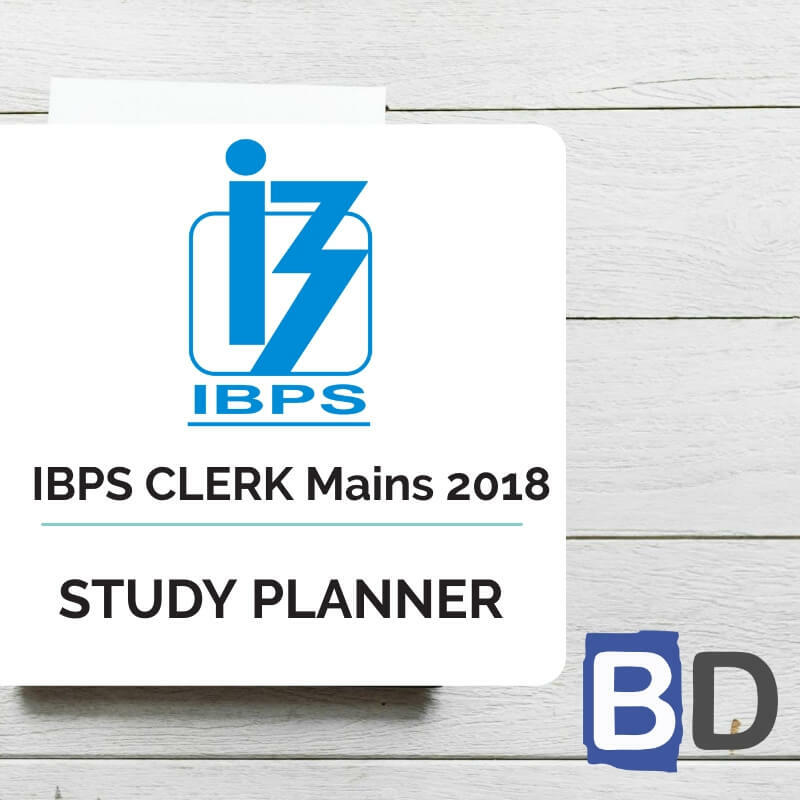 We have been providing Exam Planners for various exams and now due to constant feedback to start a new series for the IBPS CLERK MAINS EXAM 2017 which happens on 21st January, 2018 we have started a Exam study Planner to battle the IBPS CLERK MAINS EXAM 2017. Since the struggle for the final place in the list of selected needs bigger preparations, we hope this will help you to achieve the same. We have also provided Quantitative Aptitude , Reasoning Ability, English Language , Current Affairs and Static GK in the planner, so that this will be helpful for the candidates who are preparing for the IBPS CLERK MAINS EXAM 2017. Q.1) Which of the following minister recently launched electronic-Human Resource Management System (e-HRMS) on Good Governance Day? Q.2) Who inaugurated a new metro link between Noida and Delhi? Q.3) Which of the following city became the first city in the country to have a logo of its own? Q.4) Vijay Rupani was sworn-in as Chief Minister of the ______State.